Zippo Hand Warmer: why do you need it? Are you an outdoor enthusiast or a camper? Are you looking for the best hand warmer? Hand warmers are the easiest and simplest way to keep your hands nice and toasty. If you are looking for the best hand warmer, it makes sense to buy re-usable hand warmer like Zippo hand warmer. One of the characteristics of a good hand warmer is its size. You should be able to easily slip a good one in your pocket or glove and should be comfortable enough so that you can enjoy your outdoor activities. What are the uses of hand warmers? You need it to keep your hands warm, especially when the weather is really cold. When you have headaches and migraines, holding a heat pad to your forehead can help clear your head and ease the pain. With hand warmers, you can enjoy a lot of benefits which you will discover when you buy one. You must now be wondering about the best hand warmer to buy. Well, Zippo hand warmer remains the best choice because it offers all the benefits listed above and more. Let’s look at Zippo hand warmer in detail so you can understand why it is the best. It is true that we have different types of hand warmers out there, but Zippo hand warmer is just exceptional and rise above the competition. If you are looking for the best hand warmer at an affordable price, this is the right choice for you. 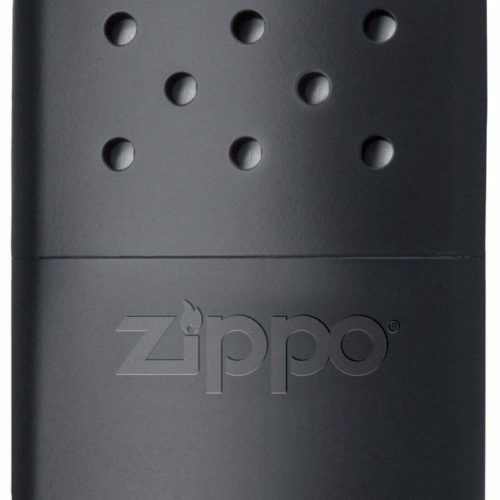 Most people are used to air-activated hot hands style warmers, which are never going to provide you the warmth you need but Zippo will provide 12-24 hours on just .04 oz. of lighter fluid. 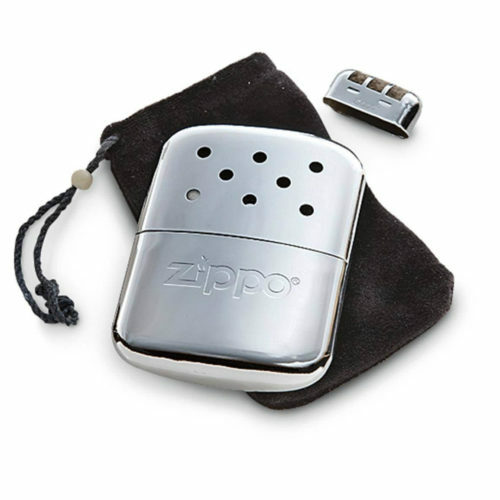 Although Zippo hand warmer uses lighter fluid, it is not on fire like a lighter. It is a catalytic burner that creates heat in the absence of flame. The open space around its ventilation and burner holes that perforate the upper part of the warmer can draw enough oxygen to keep it burning even when you put it in the pouch and slip it in your shoe, pocket, and socks or cupped it in your hands. The best thing about Zippo hand warmer is that it can burn steadily for 12 to 24 hours and provides your hands the warmth you need. The warmth it provides is more than twice what the ones that heat when exposed to air provides. The metal will not be hot to the extent of scorching your hand, so you don’t need to panic. If it touches your bare skin without the pouch, it can be less comfortable. That is why you should put it inside the pouch so you can hold it for many hours without any hassle. At less than $13, these warmers are great groomsman gifts, stocking stuffers, hand warmers, or just something to treat you. Although Zippo hand warmers are affordable, they are very efficient and can last for many years, keeping you cozy. 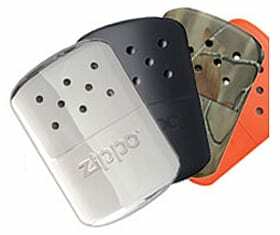 If you are looking for the best, most efficient and the most affordable hand warmer, Zippo handwarmers are the best. Don’t give cold a chance; whether you are camping or you are an outdoor enthusiast, this is what you need to keep your hand and body warm all day. 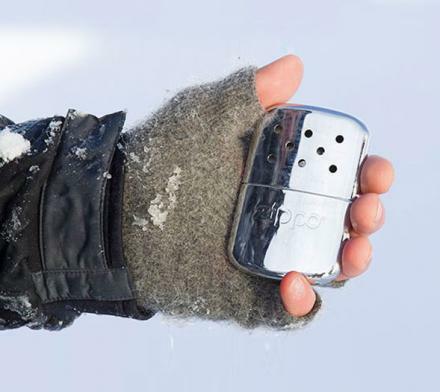 Get Zippo hand warmers, get the warmth you need and enjoy your activities. Remember you can re-use it by refilling it with Zippo fluid. So you can use your Zippo for as many as possible years. With it, you can always keep your hands warm. This entry was posted in RYO LifeStyle Blog and tagged hand warmers, Zippo Hand Warmer, zippo handwarmer.